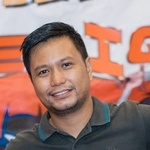 Has been with the BPO Industry for more than 7 years with background in Telecommunications account. Has lead a team of MIS Executives / Reports analysts as a team lead for WFM...Read moreHas been with the BPO Industry for more than 7 years with background in Telecommunications account. Has lead a team of MIS Executives / Reports analysts as a team lead for WFM MIS Team. Has indepth knowledge in reports analytics and datawarehousing. Advanced knowledge in MS Office application with VB Macro scripting. Has experience in ETL, SSIS, SSRS & SSAS. Has facilitated trainings such as excel-in-excel from beginners to advanced level. Yellow belt six sigma trained. A good team player. Paulo delivered a great web scraping tool to my exact specifications. He responds quickly to development requirements and his customer service is excellent. I highly recommend him.